This study aimed at finding out the level of stress and classroom performance of college freshmen who listened and did not listen to acoustic music while taking teacher-made test in General Psychology. Every student goes through different kinds of stress. One of the most stressful tasks of students is to pass each examination they have to face. Teachers play crucial role in helping their students perform well in their exams. One of the strategies in mind is using music in classroom activities. Music is one of the few activities that involves using the whole brain. It is intrinsic to all cultures and can have surprising benefit. The power of songs to affect memory is quite intriguing. Cortina et.al (2011) cited that experiments have been conducted to prove if listening to music can improve the memory skills of students one of which is popularly known as the “Mozart effect”. Effects”. It consists of fourteen (14) items modified and suited for the purpose of the study. To measure the performance in General Psychology Test, two sets of teacher-made test, each consisting of thirty questions were used which were given on two separate occasions. The data were gathered and interpreted using appropriate statistical tools. Results showed that 19 or 63.33 percent of the respondents reported to have high level of stress in taking a test in General Psychology while listening to acoustic music while 17 or 56.67 percent who did not listen to acoustic music reported to have high level of stress in taking the test. Fifteen (15) or 50 percent of the respondents who listened to acoustic music while taking test in General Psychology, and 14 or 46.67 percent who did not listen to acoustic music while taking the test got ‘above average’ scores (42-50). There is a significant difference in the level of stress experienced by the two (2) groups of respondents, while there is no significant difference in the level of performance in General Psychology test of the two (2) groups of respondents. For the 2 groups, no significant relationships were noted between their level of stress in taking the test in General Psychology and their level of performance. It can be concluded that majority of the two (2) groups of respondents have high level of stress in taking a test in General Psychology and have above average level of performance in General Psychology test. Those who did not listen to acoustic music have higher level of stress while taking the test than those who did. Level of performance in General Psychology test of the two (2) groups of respondents did not differ, while level of stress of the two groups in taking the test in General Psychology did not correlate with their level of performance. Music is a portrait of every person’s soul, an expression of time, a medium able to reveal every decade and century. A cited by De Jesus et al. (2008) it can lift people to heights they cannot otherwise reach and it can take an individual to the depths he can only feel deep within himself. Music is an intimate expression of one’s personality, with all its complexities, a living legacy of every generation. It is the ultimate, lofty painting of everyone’s hopes, triumphs, pains, dreams and limitations. Nowadays, one of the favourite past time of teenagers is listening to different kinds of music—it can be rock, ballad, metal, RnB, pop, jazz and most of the time, acoustic music. Every student go through different kinds of stress. One of the most stressful tasks of students is to pass each examination they have to face. Teachers play crucial role in helping their students perform well in their exams. Indeed teachers are thinking of effective and innovative teaching strategies that would address the various needs of the students. One of the strategies in mind is using music in classroom activities. Music is one of the few activities that involve using the whole brain. It is intrinsic to all cultures and can have surprising benefit. The power of songs to affect memory is quite intriguing. Cortina et al. (2011) cited that experiments have been conducted to prove if listening to music can improve the memory skills of students. In 1993, a psychologist performed this experiment and he used the music of Mozart to a group of students. He then gave the students an exam to test memory skills. The test proved that those who listened to Mozart have higher scores. This is popularly known as the “Mozart effect”. Mozart music activates the left and right brain. The simultaneous left and right brain action maximizes learning and retention of information. The information being studied activates the left brain while the music activates the right brain. Also, activities which engage both sides of the brain at the same time, such as playing instrument and singing, cause the brain to be more capable of processing information. Listening to music facilitates the recall of information. Researchers have shown that certain types of music are great “keys” for recalling memories. It is on such premise that the researcher decided to conduct a study on the level of stress and the test performance among students who listened and did not listened to acoustic music. This study is anchored on the premise that stress could be managed, if not eliminated. Stress management is all about taking charge of oneself - one’s thoughts, emotions and even the way an individual deals with his own problems. Smith et al. (2013) stressed that there are many healthy ways to manage and cope with stress, but they all require change. She proposed that in dealing with stressful situations, there are six strategies that an individual needs to consider doing. This includes avoiding unnecessary stress, altering the situation, adapting to the stressor, accepting the things you can’t change, making time for fun and relaxation, and adapting a healthy lifestyle. The third strategy which is adapting to the stressor involves a method of reframing the problem. In this approach, an individual needs to view stressful situations from a more positive perspective. Rather than worry and be anxious about taking examinations, one can look at it as an opportunity to learn and discover one’s potentials. In making time for fun and relaxation, Smith mentioned that there are a variety of ways to relax in an attempt to manage stress. This involves going for a walk, spending time with nature, savouring a warm cup of coffee or tea writing a journal and listening to music. Munsey (2006) mentioned that organized music lessons appear to benefit children's IQ and academic performance--and the longer the instruction continues, the larger the effect. For the college freshmen, a history of playing music regularly as children and teenagers had "small but significant" associations with IQ, perceptual organization, working memory and average high school grades, with the associations remaining significant after controlling for differences in family income, parents' education levels and gender. Although she isn't sure why music lessons are associated with higher IQ and stronger academic performance, she has several theories: Children with higher IQs have more cognitive ability to handle the mental challenges of music lessons and school, so music lessons probably exaggerate that advantage. School itself boosts IQ, so the school-like features of music lessons such as learning to read music might also lead to improved intellectual functioning. 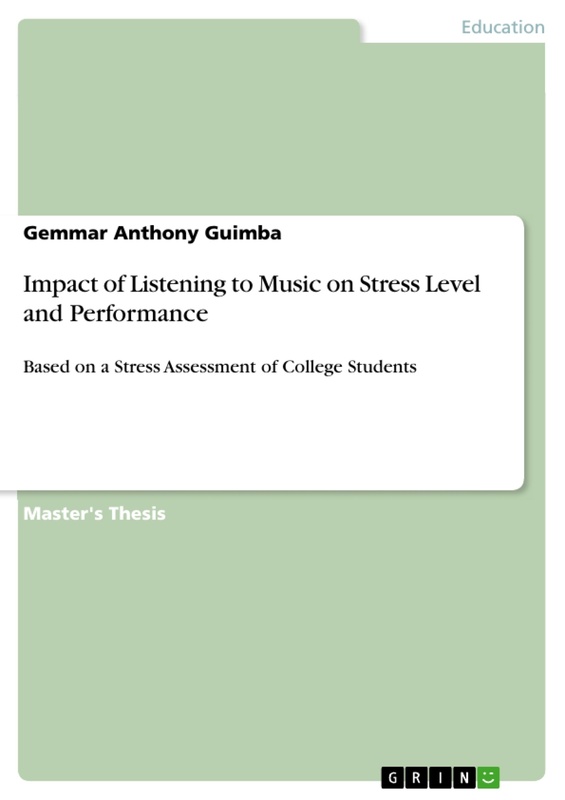 From the premise given, the researcher conceptualized this study on the level of stress and classroom performance of freshmen students who listened to acoustic music while taking teacher-made test. The model shows the independent variable of the study which acoustic music listening and not listening and level of stress as the dependent variable. Further, level of stress is the independent variable when correlated with performance in General Psychology test as the dependent variable. Figure 1: The operational model showing the relationship among variables. This study aimed at determining the level of stress and classroom performance of college freshmen who listened and did not listen to acoustic music while taking teacher-made test in General Psychology. 1.2. not listening to music? 2. What is the level of performance in the test in General Psychology of the two (2) groups of respondents? 3. Is there a significant difference in the level of stress experienced by the two (2) groups of respondents? 4. Is there a significant difference in the level of performance in General Psychology test of the two (2) groups of respondents? 5. How is the respondents’ level of stress in taking the test in General Psychology related to their level of performance? Ho1. There is no significant difference in the level of stress experienced by the two (2) groups of respondents. Ho2. There is no significant difference in the level of performance in General Psychology of the two (2) groups of respondents. Ho3. The respondents’ level of stress in taking the test in General Psychology is not significantly related to their level of performance. 1. Stress is experienced by college students. 2. Classroom performance may be affected by different factors. 3. Acoustic music is a popular musical genre. 4. The respondents responded to the questionnaires honestly. The study employed selected BS Marine Transportation 4th class midshipmen from the Philippine Merchant Marine School under General Psychology class, who were enrolled during the school year 2012-2013. It constituted a total number of thirty (30) respondents who listened to acoustic music and thirty (30) respondents who did not listened to acoustic music. The study focused on the level of stress and classroom performance of the students who listened to acoustic music while taking teacher-made test. Students . The result of this study could provide students a kind of motivating factor through music to ease their worries and anxieties during examination days. Teachers and Professors . The result of the study could inspire them to use music during examination period whenever possible. School Administrators . The result of this study could provide awareness that music can be used as an alternative technique for creating and developing good learning ambiance. Parents . The result of this study might provide ideas for the parents to use music as stress management technique. Future Researchers . This could serve as reference for future researchers to conduct further studies related to the topic. The following terms are defined contextually and operationally for a clearer understanding of the research. Stress . This pertains to any feeling that bothers you or puts a strain on the body or mind (Judd, 2011). This also refers to the response of the individual to the circumstances and events, called stressors that threaten them and tax their coping abilities. In this study the researcher used time pressure during the review session and quiz as primary stressor plus the outside stress they have at that time. Level of Stress . This refers to a status of the person as indicated by the scores in the stress assessment questionnaire. Level of Performance . This refers to the score in General Psychology test interpreted as excellent, superior, above average, average and below average. Acoustic Music . This refers to a type of music that is accompanied by an instrument or two, guitar in particular and most of the time slow-tempoed. 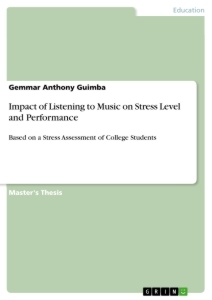 This chapter contained related literature pertinent to the study of level of stress and classroom performance of freshmen students who listened to acoustic music while taking teacher-made test. Smith and Segal (2013) cited that though some may think that there is nothing people could do about stress that is not always the case in reality. People may have more control than they might think. In fact, the simple realization that one is in control of his life is the foundation of stress management. Managing stress is all about taking charge one’s thoughts, emotions, schedule, and the way people deal with their problems. Stress management starts with identifying the sources of stress in life. This isn’t as easy as it sounds since in some cases, true sources of stress aren’t always obvious, and it’s all too easy to overlook one’s own stress-inducing thoughts, feelings, and behaviors. Until people accept responsibility for the role they play in creating or maintaining it, an individual’s stress level will remain outside control. According to Judd (2011), stress is any feeling that bothers you or puts a strain on the body or mind. Some people describe stress as an uncomfortable feeling of tension. Others describe it as a feeling of excitement and challenge. Stress is a part of everyday life and everyone has it. Life is not perfect and many of its challenges can be stressful. She added that stress can be both good and bad. Examples of “good” stress may include getting married, the birth of a grandchild, or a promotion. These types of good stress can add interest and excitement to your life. While examples of “bad” stress could be a traffic ticket, doing poorly on a test in school, going through a divorce, or the death of a loved one. These types of stress can be upsetting and hard to deal with. Stress could also be dangerous as being emphasized. The body’s normal response to stress is to release hormones made by the endocrine glands. The body responds to stress with a rise in pulse, blood pressure, and blood sugar (glucose). You may have heard this reaction called the “fight or flight” response. Release of these hormones gives a quick source of energy for coping with stress. Recognizing stress is the first step in dealing with it. Some signs of stress includes frequent or prolonged boredom, crying spells, sweating, constant tiredness, feeling discouraged, problems sleeping (insomnia), tight mouth or jaw, headaches, clenched teeth, rapid and/or shallow breathing, upset stomach, hunched, tight shoulders, rapid heartbeat, apathy, emptiness, nervous laughter, twitching, frequent self-criticism, neck stiffness or tightness, prolonged frustration, tightened fists, diarrhea, feeling helpless, and avoiding people. Students’ reaction to stress varies. As reported by the US Department of Education (2005), students sometimes react to trauma and stress with anger. They may feel it gives them a sense of control. Adults should be understanding but hold children responsible for their behavior. It is not OK to hurt others and break other home and school rules, even if students are stressed. It also does not help younger children to watch coverage of the disaster over and over. However, some older adolescents may find viewing some factual media reports helpful in order to better understand the disaster and recovery efforts. As an alternative, parents may want to read newspaper accounts with their child. Parents should also remember to take good care of themselves ,too. This will help them have the energy necessary to take care of their children. Their ability to cope with this disaster will help their children cope as well. As being suggested, students may want to find some way to express what they're feeling by creating artwork, writing, playing music, singing in a choir or just talking to a friend or trusted adult. They should get enough sleep and exercise and eat food that is good for them and should make time to do things they enjoy. They should play sports, read good books, go to movies, spend time with friends, go for walks or listen to music. Students should try to not dwell on the disaster or their family's situation all the time. Like their students, teachers are also experiencing stress in the classroom. In a class set up where Bring Your Own Device (BYOD), Fortson (2013) cited that stress adds up to the teachers who are not familiar with the devices their students are bringing in the classroom. Thus, teachers are motivated by showing them how they really do not need to worry about the devices. The students will find the application they need by collaborating with each other. Watkinset et al. (2013) cited that family stressors help identify behavioral outcomes in children. Yet, there may be subsequent factors associated with child behavior problems. An expansion of the current literature on child behavior problems will allow for further interpretation of these subsequent factors. The purpose of their study is to examine the influence of psychological distress and work and family stressors on child behavior problems for parents (N=851) from the 1995 Detroit Area Study. Findings suggest that respondents who were younger, experienced psychological distress, lived in large households, felt bothered as a parent, and had difficulty balancing work and family were more likely to experience child behavior problems than their peers. Implications for this study underscore the application of an intersectional approach when working with children and families so that various aspects of parental and child well-being are addressed by researchers and service professionals. Students employ different coping styles to deal with stress. Wang (2013) cited that coping style is the process of cognitive and behavioral efforts made by individuals under pressure to alleviate its negative effects. It is mentally healthy to form a proper cognition and evaluation towards events and adopt a positive coping style in front of pressure. Wang defines coping style from the developmental angle, and thinks that coping style is one side of stress reaction. When individual faces stressful events and environments, individual has conscious efforts to regulate emotion, cognition and behavior. High school is a critical period of life and students are often confronted with pressure of further studies and employment as well as mental perplex in puberty. Thus, it is of great significance to explore the relationship between coping style and mental health of high school students. The paper delves into the characteristics of high school student coping style and its relationship towards mental health on the basis of previous studies, in order to provide reference to high school student mental health education and improve their mental health. The results of the study indicate that: 1) Senior high students tend to take positive attitudes rather than negative ones to deal with daily issues; 2) There is no obvious difference between male and female students on the coping methods; 3) The coping style of senior high students is opposite to each factor of mental measure of middle school students. And the factors of self-blame and fantasy, however, are obviously related to each factor of their mental health; 4) There is obvious difference on the factor of consultation in coping style among students from different grades, which can be easily seen in other factors. The difference is also obvious on the obsession, anxiety and mental unbalance among students from different grades in terms of mental health. Moreover, those who once failed in the college entrance examination differ a lot in the consultation, obsession, anxiety and mental unbalance with other middle school students. Not only students experience stress. Mothers too are faced with a lot of stress. As reported by US Department of Education (2002), taking care of a baby may cause stress. It's a big job. It's normal to have moments of sadness, fear, frustration or anger. These feelings can be powerful. When a mother is angry, she may feel like hitting someone. You may feel like breaking things or saying hurtful things. But there are other ways to deal with strong feelings. Some of the tips include (1) the worst thing you can do is keep these feelings to yourself. Talk about these feelings with someone; (2) talk to spouse or a family member; (3) talk to a friend, a doctor or a member of the clergy; (4) try to exercise. Put the baby in a stroller or in your arms, and take a walk. Exercise at home while baby sleeps. Being active can make a mother feel better. Exercise can give more energy to take care of oneself and the baby; (5) take time to relax. Take a moment while the baby naps. Do something that is calming. Take a break from chores. Take a moment to talk to a friend, read, listen to music, just be still or enjoy a hobby; and (6) don't take stress out on the baby by yelling at her or avoiding her. Get someone to help for a while so that one can calm down or get rest. Today scientists are looking at how stress makes people ill, and what can be done to help prevent illness caused by stress. Sutton (2011) cited that unhealthy levels of stress come in many guises. An individual may have to take care of a chronically ill person—and that's stressful. Or you one be stressed from being in constant pain. Work-related issues, marriage or family problems, and financial difficulties can generate chronic stress. Severe, chronic stress can damage bodies in many ways.Stress also can aggravate existing health problems. It can worsen angina, disturb heart rhythm, raise blood pressure, and lead to stroke. It can spark asthma and may affect the digestive system, making ulcers, acid reflux, or irritable bowel problems worse. Stress can play havoc with nerves and muscles, causing backaches, tension headaches, or migraines. If the stress is bad enough that one can't fix it on his own, it is recommended to seek professional help. In some people, what may seem like on-going stress is actually depression. Possible signs of depression include the following: (1) Often waking up in the middle of the night with feelings of anxiety; (2) Suicidal thoughts; (3) Loss of weight and appetite; (4) Not wanting to be around other people; and (5) Constant irritability. Depression is an imbalance of hormones and nerve chemicals—it's a biological illness and highly treatable. Gbadamosi and Ross (2012) studied on perceived stress and performance appraisal discomfort: the moderating effects of core self-evaluations and gender. The study examines the relationships between perceived stress and performance appraisal discomfort with core self-evaluations and gender as moderating variables. It also asks the question to what extent do these variables predict perceived stress. The study is a cross-sectional survey that used structured questionnaires to obtain data from a sample of 300 managers in Gaborone, Botswana. Usable data was obtained from 167 managers. A negative and insignificant association was found between performance appraisal discomfort and perceived stress. Neither core self-evaluations nor gender significantly moderated the relationship between performance appraisal discomfort and perceived stress. Women earned less income and their perceived stress was significantly higher than men's. Also gender, core self-evaluations and then performance appraisal discomfort (in that order of strength) were significant predictors of perceived stress accounting for 12 percent of its variance. The findings also suggest that HR practitioners need to consider individual characteristics more than organizational policy in effective Implementation of performance appraisals and stress reduction strategies and as a consequence worker-related interventions may be particularly pertinent. Finally, it presents data for a relatively under-explored area of behavioral research focusing on appraisers' (as opposed to appraisee) discomfort and core self-evaluations as a moderator variable of perceived stress. Maltby and Hall (2012) cited that when faced with an overwhelming and traumatic event, the body releases glucocorticoids, or stress hormones. This is very adaptive, because these stress hormones mobilize needed energy and inhibit processes that get in the way of coping with immediate danger and terror. However, when one is chronically exposed to trauma, an excessive amount of stress hormones are released and can damage hippocampal neurons. Research has demonstrated that the prolonged stress experienced by war veterans and survivors of childhood sexual abuse results in high levels of glucocorticoids. The body then adapts to the experience of chronic stress, which leads to elevated baseline levels of stress hormones, and to abnormal rhythms of hormone release. High levels of stress hormones and abnormal rhythms of hormone release can lead to impairment in episodic memory due to hippocampal dysfunction (via inhibition of neuronal growth and atrophy of the receptive components of dendrites). Brain imaging studies have shown decreased hippocampal volume in patients with posttraumatic stress disorder, further strengthening the link between trauma and hippocampal impairment. The hippocampus is the primary mechanism for encoding memories; therefore, it seems likely that hippocampal dysfunction may be a key mechanism of the repression of traumatic memories and the memory disruptions common in those suffering from traumatic stress. Posttraumatic flashbacks, which are repetitive and stereo-typed, are not subject to the assimilating and contextualizing properties of the hippocampal memory networks. When the hippocampus does not work in concert with the amygdala to record events with a sense of self and context, memories are still encoded (implicitly), but not in a form that leaves them accessible to conscious and/or volitional recall. Without the normal functioning of the hippocampus, stress and trauma have a profound impact that is difficult, though not impossible, to heal. Traumatic experiences in these situations are encoded in an emotional, bodily type of memory called implicit memory. These memories take the form of habits and gut-level expectations and relational styles and they continue to influence one throughout life. Therefore, in significant ways, posttraumatic stress disorder can be understood as a disorder of memory. The dissolution of memory systems and ways of knowing is even more marked in people who have experienced a particular type of trauma, termed complex traumatic stress, or complex trauma. Efforts have been done to improve the academic system. Zhao and Guo (2013) investigated college students' cognition on academic norms and bring forward some suggestions on the basis of questionnaires and result.On June 22, 2004, China's Ministry of Education put the regulation of "Academic Norms of Social Science and Philosophy Research for the Universities" in to effect, which called for improving the academic evaluation system and academic research system. On May 10, 2006, the proposal of "Establishing Socialist Concept of Honor and Disgrace, Strengthening Academic Moral Construction" was released by the Ministry of Education. On March 19, 2009, the Ministry of Education issued "the Notice of Dealing with College Academic Misconduct Severely", which demanded the universities including the academic moral and academic norms as the mandatory content during the staff training specially for the new lecturers, and as the educational contents for university students. Meanwhile, the performance evaluation of the faculty members and the administration staff will be made according to their compliance degree of "academic norms". It is good for building up an effective academic moral and norm system for long term. The Organization for Economic Co-operation and Development (OECD) in Germany (2006) reported that while average educational attainment in the population of working age is relatively high, with most individuals possessing at least an upper secondary degree, the tertiary graduation rate is one of the lowest in the OECD and secondary schooling outcomes are in need of improvement. Improving access to early childhood education, as well as a more consistent evaluation of school performance against nation-wide or state-wide performance standards, coupled with more school autonomy, notably in staffing decisions, can contribute to raising secondary education outcomes. Universities need to be given better incentives to offer attractive degree programmes with relatively short study duration, by making funding of universities more outcome-oriented and by further strengthening their autonomy with respect to budgetary, administrative and personnel decisions as well as student admissions. Student fees, coupled with a loan scheme and an income-contingent repayment scheme, should be introduced in all states. The following are thus recommendations for a more efficient education system: (1) outcomes in secondary education need to improve further; (2) Pupil performance should be regularly evaluated against country-wide or state-wide universal standards for schooling attainment in all schools, while leaving schools more freedom in determining suitable ways to reach their targets. Schools' management capacities should be expanded; (3) Consideration should be given to postponing selection of pupils into different types of secondary schools to a later age; (4) Schools should be allowed to make their own hiring decisions. Job security in the teaching profession should be relaxed, for example by making job tenure conditional on teachers reaching minimum standards in external assessments. Mobility of teachers across school types and states should be strengthened. University study programmes need to become more attractive; (5) Allocation of government funding to universities should be more strongly oriented towards output indicators, with federal government funding playing a significant role; (6) University autonomy should be strengthened, introducing global budgets for all universities, further eliminating administrative interference in universities and further easing personnel regulations; (7) Student fees for tertiary education courses, coupled with a loan scheme and income-contingent repayments, should be introduced in all states. This should not be used as a substitute for public funding; (8) Access to university should be widened, ensuring that non-academic tracks of secondary education prepare better for entry to university. Early childhood education and child care needs to be better oriented towards improving educational outcomes and access needs to be widened; (9) An evaluation should be carried out to see whether fees in early education discourage attendance of early education facilities. Consideration should be given to provide subsidies to early education and child care through a voucher system, with vouchers to be used in accredited early education facilities, and (10) Early education outcomes should be evaluated against nation-wide or state-wide standards, with evaluation linked to accreditation. Academic performance is tied to reinforcement. Shannon (2011) cited that positive reinforcement refers to the process of providing a reward to strengthen a particular behavior. The theory is that the rewards, often labelled reinforcers, increase the probability of a desired behavior being repeated in the future. It is not unusual, however, that a potential reward or incentive does not appear to be initially reinforcing or loses its effectiveness over time. For example, a child may lose interest in receiving the same stickers for accuracy on math problems, and his performance may decline. If this is the case, there are several factors to consider. First, notice the time between the occurrence of a particular behavior and the reward that follows. For a reward to be most effective, it should be delivered immediately following the behavior. The longer the delay between the behavior and the receipt of the reward, the less likely it will be effective. It is also important to make sure that receiving the reward is based on demonstrating a particular behavior. This helps the individual learn that behaving in a certain way means that he or she will receive the desired reward. The reward should only be presented after the behavior occurs. If the reward is available independent of the behavior, or is presented inconsistently when first leaning a new skill, the behavior is less likely to be reinforced or strengthened. Keep in mind that a reward can lose its effectiveness if it is overused. This is relatively common and can be avoided by having a selection of desirable rewards available and making sure that the rewards are still desirable to the individual. As is the case with all of us, preferences change over time, and certain items that were once highly desirable may become unwanted or may even cause a negative response. Lastly, staff, teachers, and parents should understand that their clients, students, and children all have different preferences. Items or activities that are highly desirable to some individuals may not be at all desirable to others. Therefore, expect differences in what is considered rewarding among different individuals, as well as over time. Using positive reinforcement effectively allows staff, parents, and teachers to help individuals of all ages and abilities learn and maintain appropriate and adaptive behavior. As a result, these individuals will experience more success with the tasks they undertake and more satisfaction in their day-to-day interactions with other people. Education is frequently the subject of lively discussion. The Organization for Economic Co-operation and Development (OECD) in France (2007) reported that it is It is associated with many of the major issues in both economic and social affairs. It has been recommended that one of the many concerns of the educational system is teacher training. Training for teachers should give more emphasis to classroom skills, especially those related to dealing with heterogeneous classes. As well as selecting teachers on the basis of their deep knowledge of a single subject, some could also be selected and trained to teach more than one subject to improve flexibility in teacher allocation. Another focus is research into education. Indicators and analysis should cover the whole range of educational institutions, not just those that come under the education ministry. Encourage independent researchers to use these databases. Continue and enhance French participation in international data collection exercises and analysis, for OECD and other international comparisons. Devi et.al (2012) made a study on integrating students' reflection-in-learning and examination performance as a method for providing educational feedback. It was cited that critical reflection is the process of analyzing and reframing an experience to make an assessment of it for learning (reflective learning) and/or to improve practice (reflective process). During learning, reflective practice is helpful to understand the learning needs required to adopt deep approaches to learning, to understand one's personal beliefs, attitudes and values to integrate them into learning and to build integrated knowledge bases which involves linking new to existing knowledge. In students, reflective thinking at the deeper levels is associated with deep approaches to learning and meaning-making. The researchers showed the practice of reflection-in-learning may induce readiness for self-regulation of learning, where students' thoughts, feelings and actions are self-regulated for attaining academic goals. Feedback and reflection are two basic teaching-learning methods used in clinical setting. Descriptive feedback, which conveys information of how one performs the task and a detailed way to overcome difficulties is more effective than evaluative feedback. Hence, in this study it is hypothesized feedback given by integrating students' self- reflection on learning process with performance in examinations may help students to relate learning process to examination performance. This may lead them to consciously adopt better learning process for better performance in examination. Objectives of this study were: to investigate the relationship between the student's learning process and examination performance and to explore students' perspectives on professional feedback given by integrating the self-reflection on learning process and individual examination performance. Result of the study showed that improved examination performance could be due to better self-monitoring of learning or better procedural adaptation as perceived by students. The feedback given connecting the level of reflection-in-learning and examination performance might have helped the students to understand the processes required during learning for better understanding of the learning content. The professional feedback given that integrated examination performance and reflection-in-learning allowed students to reflect both on the process and the content of learning, which in turn assisted students to have more conscious control over the learning process and influenced academic performance. The use of newly developed intended learning outcomes for self-monitoring could have contributed to improving students' academic performance It seems appropriate to further study the impact of feedback on students' reflection-in-learning and academic performance. The impact of reflection-in-learning on students' study approaches also may be explored in the future. In Watkins and Hattie’s (2012) study, they cited that social goals have also been proposed as important additions to mastery and performance goals in educational contexts, particularly in non-Western cultures but no study has yet tested the possibility that such goals can also combine with mastery and performance goals leading to superior learning outcomes. Longitudinal studies are also rare in this area. The effect of changing motivational groups has also seldom been examined. Their study examines the academic achievement, learning strategies and self-attributes at two points of time of students from multiple motivational groups: mastery, performance and social. The findings demonstrate that the usual grouping of mastery and performance is incomplete as the impact of goals on achievement cannot be properly understood unless social goals are included, although about a third of students had none of these goals at all. Those in the higher groups for all three goals had higher sense of purpose, but only those in high mastery and performance (and thus not social) had a higher sense of self-reliance and intellectual self. It is likely that the various dimensions of social goals may be related importantly to various desirable outcomes. Dalton (2013) cited that mild or moderate hearing loss (MMHL) is a communication disability impacting academic performance, fatigue, and social and emotional quality of life for up to 15% of students. Due to the mostly intelligible speech of these students, teachers may easily overlook their difficulties in classrooms and subsequently give little attention to their inclusion or mitigating the effects of their hearing loss. While research addressing social inclusion of more severely hard of hearing, deaf or culturally Deaf students is considerable, educational and psychological databases and major handbook chapters on special education and exceptional learners include little on the status, inclusion, or environmental contexts of students with MM. Relatively few qualitative studies report the perceptions of this population in great detail and although informative, quantitatively designed studies provide limited opportunity for expression of what can be a complex lived experience. The purpose of this research is to investigate the experiences of students with MMHL to gain insight into how they conceptualized and managed their hearing loss during their school career and to develop recommendations for researchers and educators towards enhancing their full participation. Self-determination Theory, a social cognitive theory examining motivation, development, and performance based on the fulfilment of three psychological needs--relatedness, competence, and autonomy--provide an analytical framework for investigating social interaction and intrinsic well-being. The researcher argued that adults can support students' psychological needs when they have a realistic understanding of the design of social environments and asserted that educators need to be sensitive to the impact that social construction of disability, social context, and student interactions have on students. Thus, in addition to Self-determination Theory, disability identity development research provide analytical tools to expand the latent meanings of participants' lived experiences in integrated classrooms. In an article written by Greer (2013) entitled Thinking outside the box: meta-cognition and the music lesson, the author cited that idea that the skills learned in music lessons might transfer to other areas has gained a lot of attention in the last 20 years. Preliminary research looking at general testing anxiety suggests that professional-level athletes and musicians may be better equipped to handle the stresses of performance in areas outside sports and music. In 1983, Howard Gardner proposed a theory of multiple intelligences, which included a musical intelligence. This spawned a great deal of interest and subsequent theories relating to early music education and the possible link between music and intelligence in general. Although since then most of these theories have been criticized, the question remains: Can skills learned in music lessons transfer to other areas? It seems possible, for there is something unique about private music lessons that set them apart from other educational situations. In most instrumental music lessons, students are one-on-one with a teacher, who, in the best of all possible worlds, is able to pace the instruction to match the student's needs and abilities. Additionally, unlike the daily interaction of teacher and student in most general classrooms, the structure of music education is such that the individual lesson most often takes place only once a week, with the expectation that students will then practice their assignments daily on their own. Since so much of the work done by the student happens outside the presence of the teacher, it is of utmost importance to teach a student to work carefully and practice effectively at home. This is where the intersection of meta-cognition and the music lesson comes front and center. Schmidt-Zawadowski’s (2013) work on The Music History Classroom comprises a series of 11 essays related to music history pedagogy. Topics range from how to teach to how to structure and implement a college-level music history course, including suggestions for in-class activities, assignments, evaluations, grading, time management and professional development. A must for first-year teachers in the classic music history survey classes, this book should also be helpful for teachers seeking to review their courses, especially considering all the changes education is facing currently, and its core principles should be transferable for other classes in music history, such as seminars or music appreciation classes for non-music majors. Schmitt (2003) Concert films have a long history on 35mm film, progressing from Woodstock, through ABBA The Movie to Rolling Stones at the Max (70mm). Given the number of different alternative content music screenings undertaken in the past, exhibitors seem to set particularly high hopes on popular music. The author cited that In contrast to most competitive sporting events, pop music content such as concerts or music documentaries can be shown either live or as pre-recorded events--consequently exhibitors theoretically have access to a large pool of music documentaries and pre-recorded concerts on DVDs. On the other hand, In view of the small number of available examples, the high level of exclusivity and the absence in most cases of significant commercial value, classical music events have so far not provided any 'classical' added value such as artists attending the screening. As it is the case for pop music, a differentiation from the original live event is nonetheless provided mainly by the big screen, as well as by better and less expensive access to tickets and venues. If the sound is mastered to cinema quality, this can also be considered added value. Furthermore, classical music lovers might choose the cinema because screenings will provide a better view of the actors and dancers, using close-ups and offering different camera angles. In his article "The hills are alive." 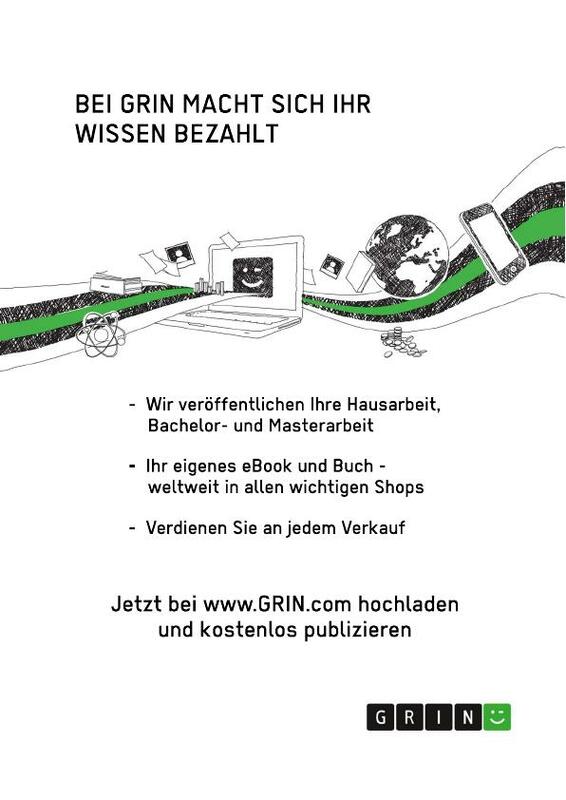 Sound of Music tourism and the performative construction of places, Graml (2005) analyzes how the Sound of Music tours in Salzburg function as a performative space for the construction and narration of Austrian national identity. Drawing on interdisciplinary approaches from human geography, cultural anthropology, and cultural studies, the essay uses the example of Sound of Music to study the broader role of the national at the turn of the twenty-first century. The analysis uses the discourse of tourism as a vehicle for an ethnography of the kitschy and the banal to illustrate how individuals and groups perform "places" in the context of globalization's apparent shrinkage of time and space. As conclusion of his essay, the writer cited that there is no final determination to be made as to what the Sound of Music tours actually mean for Austria. Looking at how the Sound of Music sites function as both the embodiment of kitsch and as a possible model for the very places that enable "new" performances of Austrian national identity, I have highlighted how the discourse of tourism facilitates the studying of identity construction at the turn of the twenty-first century. As a narrative that combines local history (and legend) with global mass-media representations, the Sound of Music topic proves to be an appropriate medium for analyzing how individuals and collectives perform national, racial, and gendered identities by constructing places that complement and inspire their respective identity narratives. In my analysis I have tried to show that this provides more insight into contemporary identity constructions than simply claiming that certain places or practices foster progressive or reactionary identity positions.  Emm (2013) made an article entitled "Make music, women, music! ": the Amazonian power of music in Heinrich von Kleist's Penthesilea (1808). Here, she cited that the Amazon hymn near the center of Penthesilea (1808) has gone largely unnoticed, but it constitutes a unique and self-conscious moment of performance within the play. This essay asks what it means when Kleist's warrior women sing in the context of the play's performative constructions and deconstructions of gender and representation. It examines Kleist's preoccupation with shaping and idealizing female musical performance in his letters and journalism, and argues that the parallel negotiations of a feminine music and a genderless musical ideal play out in Penthesilea. As the drama progresses toward a staging of its musico-natural ideal, it incorporates operatic forms. As a result, the play's destabilization of gender boundaries takes place through, and is eventually undermined by, its destabilization of genre. As reported by the American Music Teacher (2013), the second International Jazz Day will take place April 30. UNESCO started International Jazz Day in 2012 to raise awareness in the international community of the virtues of jazz as an educational tool and a force for peace, unity, dialogue and enhanced cooperation among people. The goal is for many governments, civil society organizations, educational institutions and private citizens currently engaged in the promotion of jazz music to embrace the opportunity to foster greater appreciation, not only for the music but also for the contribution it can make to building more inclusive societies. International Jazz Day aims to bring together nations and communities to celebrate the art of jazz and to highlight its important role of encouraging dialogue among cultures and civilizations, eradicating discrimination and promoting human dignity. The first International Jazz Day was a worldwide success, with countries on every continent hosting some 100 different activities. The official launch at UNESCO Headquarters in Paris was attended by 1,400 people, and 20,000 more watched via website. The IMC had a stand at UNESCO to promote the activities of its member organizations. At a sunrise concert in New Orleans, UNESCO Goodwill Ambassador Herbie Hancock took the stage, with young musicians from all over the world joining in by satellite. At the United Nations Headquarters in New York, a concert saw celebrities such as Robert De Niro, Michael Douglas and Morgan Freeman introducing legends of the jazz scene, among them Dee Dee Bridgewater, Chaka Khan and Hugh Masekela. The related literature and studies covered have bearing on the present investigation. Smith and Segal (2013), Judd (2011),US Department of Education (2005), Fortson (2013), Watkins et. al (2013), Wang (2013), US Department of Education (2002), Sutton (2011), Gbadamosi and Ross (2012), Maltby and Hall (2012), all Kirkland (2013) all mentioned about stress experienced by students and non-students and its different effects to people. They even suggested ways on how to manage them. Zhao and Guo (2013), The Organization for Economic Co-operation and Development (OECD) in Germany (2006), Shannon (2011), The Organization for Economic Co-operation and Development (OECD) in France (2007), Devi et.al (2012), Watkins and Hattie’s (2012), Dalton (2013) all cited about academic concerns and performance of students and recommended measures on how to improve then. And lastly, music and its effects to people are being cited by Greer (2013), Schmidt-Zawadowski’s (2013), Schmitt (2003), Graml (2005), Emm (2013) and the American Music Teacher (2013). 2. Most of the music genre presented and used in research is either classical or rock music. In view of the identified gaps, the present study looked into the acoustic music, level of stress while taking exam and performance in General Psychology test. This chapter describes the methods and procedures used by the researcher namely research design, sources of data, population of the study, instrumentation and validation, data gathering procedure and statistical treatment of the data. This study utilized the descriptive method of research. This type of research endeavors to describe systematically, factually, accurately and objectively a situation, problem or phenomenon (Bermudo et al., 2010). The primary sources of data were the selected 4th class midshipmen of the Philippine Merchant Marine School under General Psychology class, who were enrolled during the school year 2012-2013, while the secondary data were taken from journal, magazines, books and internet and other reading materials. The respondents of this study were from the two sections of General Psychology class of Philippine Merchant Marine School. From one section, out of thirty-two (32) students, thirty (30) were selected as respondents of the study. Similarly from the second section, thirty (30) out of forty (40) students were selected as respondents of the study. To measure the level of stress, the researcher referred to the Stress Assessment from Elizabeth Scott’s “Your Guide to Stress Management” and from “”Understanding Stress, Signs, .Symptoms, Cause and Effects”. It consists of fourteen (14) items modified suited for the purpose of the study. To measure the performance in General Psychology Test, two sets of teacher-made test, each consisting of thirty questions were used which were given on two separate occasions. Since the stress scale had been modified to fit into the specific scenario while the students were taking the teacher-made test, the researcher had it validated by a panel of experts. After being presented to the adviser, it was then reviewed by a psychology professor, language editor, and statistician for face validity. The recommendations and suggestions were then taken into account. After obtaining approval from the Dean, the researcher as a General Psychology instructor conducted the study during the regular class schedule. The study was conducted on March 12 and 14, 2013. During the meetings, each group was given a lecture and discussion for 60 minutes, 10 minutes for review session, and 20 minutes for quiz. One group was listening to acoustic music while taking the General Psychology test, while the other group was not. After taking the test, both groups of respondents were given the stress assessment questionnaire. Scores were then tallied, analysed, statistically treated and interpreted. 1. Frequency and percentage were used to determine the respondents’ stress level while taking test in General Psychology and their level of performance. 2. t-test for independent sample was used to determine the difference in the level of stress experienced by as well as in the level of classroom performance of the two groups of respondents. 3. Pearson Product Moment Correlation was used to determine the relationship between the respondents’ level of stress in taking the test in General Psychology related to their level of performance. 4. t-test for testing rxy was used to ascertain whether the correlation between level of stress in taking the test in General Psychology related to their level of performance was statistically significant or not. This chapter provides the presentation, analysis and interpretation of the data that were gathered. The data are presented according to the statement of the problem in Chapter 1. Table 1 shows the respondents’ level of stress in taking a test in General Psychology while ‘listening to acoustic music’. Majority or 63.33 percent of the respondents reported to have ‘high’ level of stress. Ten (10) or 33.33 percent had ‘moderate’ level of stress while one (1) or 3.33 percent had ‘very high’ level of stress in taking a test in General Psychology while listening to acoustic music. Table 2 shows the respondents’ level of stress in taking a test in General Psychology while ‘not listening to acoustic music’. Seventeen (17) or 56.67 percent of the respondents reported to have ‘high’ level of stress. Twelve (12) or 40 percent had ‘very high’ level of stress while one (1) or 3.33 percent had ‘moderate’ level of stress in taking teacher-made test in General Psychology. Table 3 presents the level of performance in the test in General Psychology of respondents while listening to acoustic music. As reported, fifteen (15) or 50 percent got scores ranging from 42 to 50 interpreted as ‘above average’. Nine (9) or 30 percent obtained scores ranging from 33-41 interpreted as ‘average’. Three (3) or 10 percent were reported to have obtained scores ranging from 51- 59 interpreted as ‘superior’, and another 3 or 10 percent obtained scores ranging from 24-32 interpreted as ‘below average’. Table 4 presents the level of performance in the test in General Psychology of respondents while not listening to acoustic music. Fourteen (14) or 46.67 percent got scores ranging from 42 to 50 interpreted as ‘above average’. Ten (10) or 33.33 percent obtained scores ranging from 33-41 interpreted as ‘average’. Five (5) or 16.67 percent of the respondents were reported to have obtained scores ranging from 24-32 which is interpreted as ‘below average’, while one (1) or 3.33 percent got score ranging from 51-59 interpreted as ‘superior’. Table 5 shows the difference in the level of stress experienced by the two (2) groups of respondents. As noted in the table, the computed t-value is -7.268 while the critical t-value is 2.002 which show that the null hypothesis is rejected. Result indicates that there is a significant difference in the level of stress experienced by the two (2) groups of respondents. This means that the level of stress (3.290) of the respondents who were not listening to acoustic music while taking the General Psychology test was higher than the level of stress (2.631) of those who were listening to it while taking the test. This result is being supported by the recommendation of US Department of Education (2005) which stated that one of the possible healthy ways of coping with stress is through creating artwork, writing, and playing music or singing in a choir. Results of experiments on music and memory conducted by Cortina et al., (2011) and Yutuc and Miranda (2008) also confirmed that listening to music can improve memory retention of the individual since music activates the left and right part of the brain. Table 6 shows the difference in the level of performance in General Psychology of the two (2) groups of respondents. As noted in the table, the computed t-value is 1.438 while the critical t-value is 2.002 which show that the null hypothesis is accepted. Result indicates that there is no significant difference in the level of performance in General Psychology test between the two (2) groups of respondents. This means that statistically the level of performance in the General Psychology test was more or less the same whether or not one was listening to acoustic music during the examination. This is supported by the result of the experiment done by Retana and Gonzales ((2008) which discussed that music does not affect students’ memorization. Table 7 shows the relationship between the respondents’ level of stress in taking the test in General Psychology and their level of performance. Both for the respondents who listened and did not listen to acoustic music, no significant relationship were noted between their level of stress in taking the test in General Psychology and their level of performance as noted in the computed t-value of 1.535 and 0.015, respectively. This implies that the respondents’ level of stress in taking test in General Psychology is independent of their level of performance. This result is supported by the study conducted by Gbadamosi and Ross (2012) on the perceived stress and performance appraisal discomfort: and the moderating effects of core self-evaluations and gender. A negative and insignificant association was found between performance appraisal discomfort and perceived stress. Neither core self-evaluations nor gender significantly moderated the relationship between performance appraisal discomfort and perceived stress. This chapter presents the summary of findings, conclusions and recommendations of the study. This study aimed at determining the level of stress and classroom performance of college freshmen who listened and did not listen to acoustic music while taking teacher-made test in General Psychology. Specifically, this study sought answers to the following questions: 1) what is the respondents’ level of stress in taking a test in General Psychology while listening to acoustic music and not listening to music; 2) what is the level of performance in the test in General Psychology of the two (2) groups of respondents; 3) is there a significant difference in the level of stress experienced by the two (2) groups of respondents; 4) is there a significant difference in the level of performance in General Psychology test of the two (2) groups of respondents; and 5) how is the respondents’ level of stress in taking the test in General Psychology related to their level of performance? The respondents of this study were from two sections of General Psychology class of Philippine Merchant Marine School. From one section, out of thirty-two (32) students, thirty (30) were selected as subjects of the study. Similarly from the second section, thirty (30) from forty (40) students were selected as respondents of the study. The researcher employed descriptive method of research. This type of research endeavors to describe systematically, factually, accurately and objectively a situation, problem or phenomenon (Bermudo et.al, 2010). 1. Majority (19) or 63.33 percent of the respondents reported to have high level of stress in taking a test in General Psychology while listening to acoustic music while 17 or 56.67 percent of the respondents who did not listen to acoustic music reported to have high level of stress in taking the test. 2. Fifteen (15) or 50 percent of the respondents who listened to acoustic music while taking test in General Psychology got scores ranging from 42 to 50 interpreted as above average while fourteen (14) or 46.67 percent of the respondents who did not listen to acoustic music while taking the test got scores ranging from 42 to 50 interpreted as above average. 3. There is a significant difference in the level of stress experienced by the two (2) groups of respondents. The level of stress (3.290) of the respondents who were not listening to acoustic music while taking the General Psychology test was higher than the level of stress (2.631) of those who were listening to it while taking the test. 4. There is no significant difference in the level of performance in General Psychology test between the two (2) groups of respondents. Statistically, the level of performance in the General Psychology test was more or less the same whether or not one was listening to acoustic music during the examination. 5. For both for the respondents who listened and did not listen to acoustic music, no significant relationship were noted between their level of stress in taking the test in General Psychology and their level of performance. The following are the conclusions of the study based from the summary of findings. 1. Majority of the two (2) groups of respondents reported to have high level of stress in taking a test in General Psychology. 2. Majority of the two (2) groups of respondents have above average level of performance in General Psychology test. 3. There is a significant difference in the level of stress experienced by the two (2) groups of respondents. 4. There is no significant difference in the level of performance in General Psychology test of the two (2) groups of respondents. 5. No significant relationship was noted between their two (2) sets of respondents’ level of stress in taking the test in General Psychology and their level of performance. 1. Students need to look for healthy ways on how they can manage stress in taking exams. They need to examine alternative stress management strategies provided by dependable authorities and find what is suitable for their personality as well as their specific situation. They also need to understand that stress could not always be avoided yet could be managed. 2. School personnel need to collaborate to come up with doable, effective and interesting ways on how to help students become mature enough and capable enough to handle academic stress. 3. Both teachers and students need to work hand-in-hand so that students could maintain above average performance in their course. 4. Teachers are encouraged to continue the practice of state-of-the-art teaching methodologies to keep up with their students’ changing interests and attitudes. 5. Similar variables need to be studies further, this time, experimental research design is recommended to be used. Source:Diabetes Sourcebook. Ed. Sandra J. Judd. 5th ed. Health Reference Series Detroit: Omnigraphics, 2011. p297-300.From Gale Virtual Reference Library. Source: Diabetes Sourcebook. Ed. Sandra J. Judd. 5th ed. Health Reference Series Detroit: Omnigraphics, 2011. p297-300.From Gale Virtual Reference Library. Tips for helping students recovering from traumatic events Source: Report by: U.S. Department of Education. ED.gov, 2005. pS1. From Expanded Academic ASAP. "The hills are alive... :" Sound of Music tourism and the performative construction of places Author(s):GundolfGraml Source:Women in German Yearbook. Lincoln, NE: University of Nebraska Press, 2005. p192. From Expanded Academic ASAP. Document Type:Article Source Citation (MLA 7th Edition) Graml, Gundolf. "'The hills are alive... :' Sound of Music tourism and the performative construction of places." Women in German Yearbook. Vol. 21. Lincoln, NE: University of Nebraska Press, 2005. 192+. Expanded Academic ASAP. Web. 19 Apr. 2013. Instructions: The items in this assessment ask about your behaviors and feelings during the last two hours. In each case, please encircle the number that corresponds to your honest answer. Music Intelligent Agents: A business model?